Father's Day is here and what better than that amazing photo beautifully mounted as a super stylish and not to mention memorable gift. He'll never forget that moment whether fun or nostalgic. Show him you love him with a thoughtful present that only takes 2 minutes to make. Choose your size (20x20cm, 40x40cm, 60x60cm or 50x70cm) and select one or more photos. We'll then send your creation to you all made and ready to wrap! 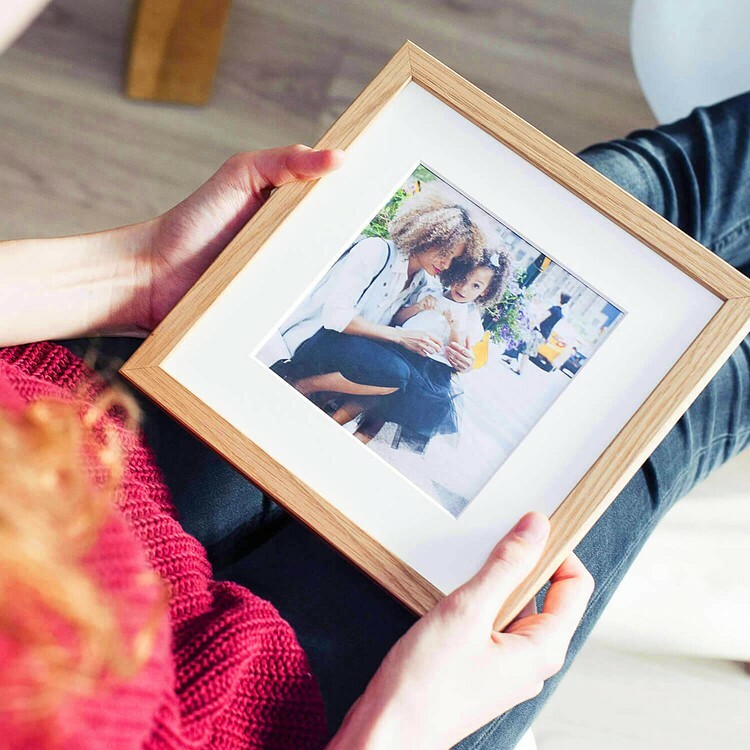 The photos are all printed with top-of-the-range photo paper and then mounted and highlighted with these beautiful frames, which are also available in several colours. 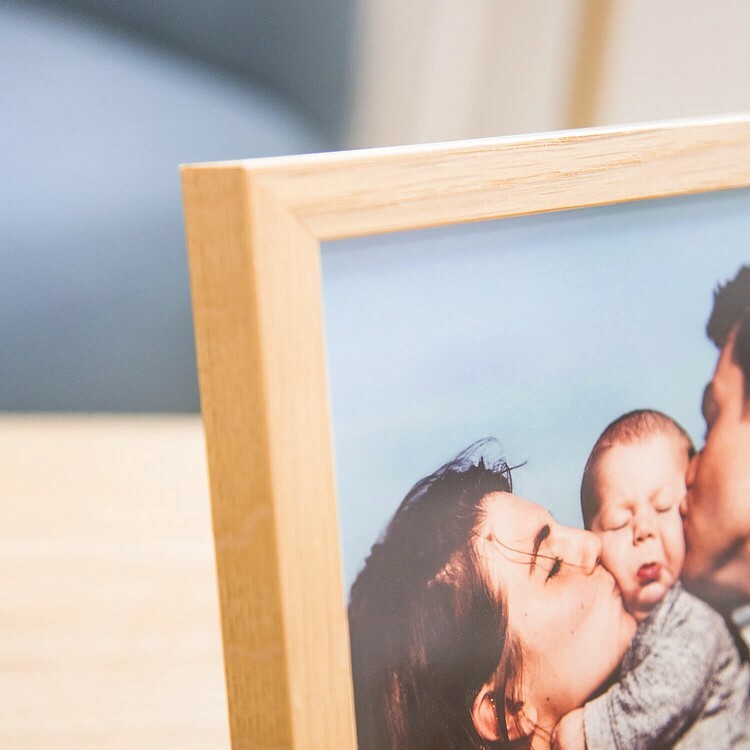 Create a Framed Photo as an amazing gift or to brighten up your home. Simply choose your photos on our site or app, then choose your favourite size and colour - without having to go to the store! Our Photo Frames came about after two stories met in the middle. First there was Theo’s story. One autumn day he was telling us about the holidays he spent at his grandmother’s house (or “Mamie” as he calls her) as usual. In the lounge, Mamie’s sideboard was covered in photo frames with pictures of her children, grandchildren and the rest of the family. 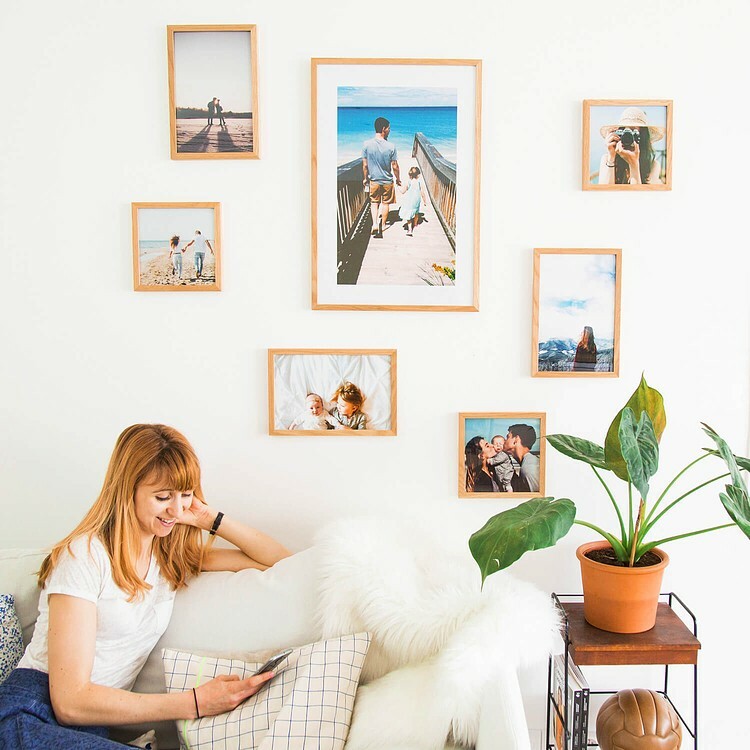 Around the same time, whilst browsing Instagram we realised that a lot of you framed your prints and used them to decorate your homes too. So our photo frames were born. Create a decorative design and an amazing gift with minimal effort by hanging these frames on your walls. Choose a black colour frame if your curtains are beige, or a white frame if they're grey. 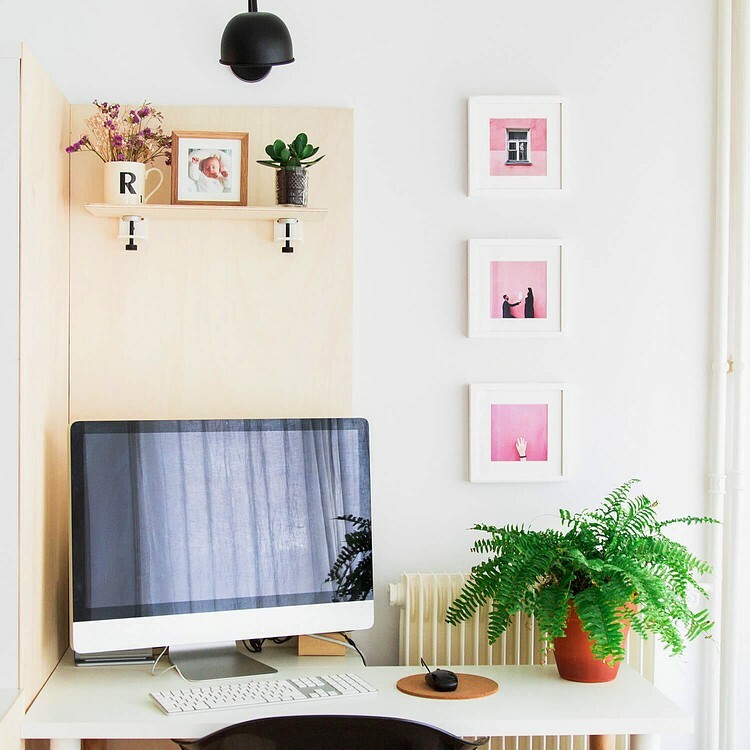 Or opt for a wooden frame for a more rustic look! 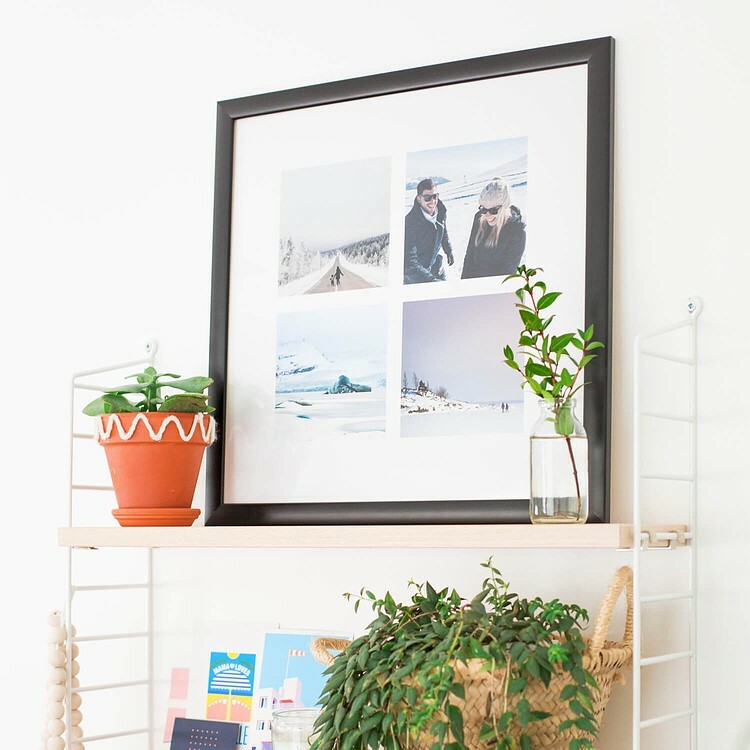 Your snapshots are then printed on top quality matte paper and then slipped into a mount (which creates a white inner frame around your photo), before being delivered directly to your door, ready to hang!